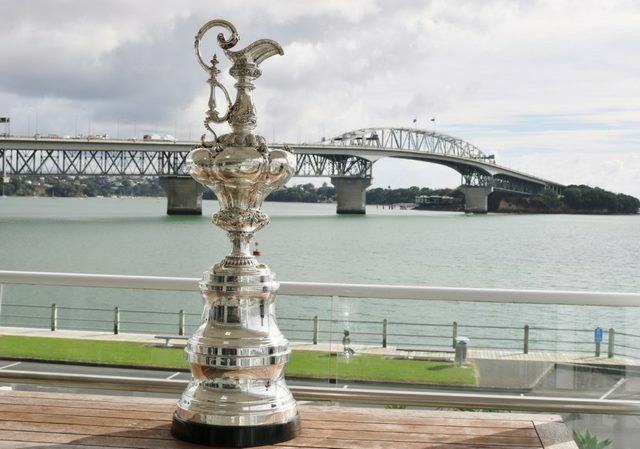 “We are really proud to have this many teams submit entries for the 36th America’s Cup event which is a true reflection on the belief and excitement of the new AC75 boat concept and the ideal host venue for racing in 2021 in Auckland, New Zealand,” concluded Dalton. Does that mean they have thrown in a bundle of cash as well? They probably are on waivers for now. The second tranche of the Entry fee is a further US$1million, which is due now, November 30, 2018, for the three Challengers who have already been accepted. Or they can opt to pay it off over nine months on a time payment plan. For late entries, there is a further $1million Late Entry Fee again payable by December 31, 2018. Of course, there is the usual Performance bond of U$1million - which is a documentary bond or cash. When comparing Challenges between the 1987-1995 era, the entry fees were between $12,000-$75,000 and attracted a peak of 24 entries in 1987 dropping to eight in 1995. Against that detailed backdrop, 11 challengers paying US$2-3million each in Entry Fees by the end of December 2018, doesn't look too bad - and looks even better with the knowledge that the US$1million Performance Bond is paid by December 31, 2018. Why would anyone pay US$4million in just four weeks if they weren't serious? It is hard to believe that any of the Challenges lodged are snowflake challenges - which if accepted will pay their $4million of entry fees and performance bonds, and then pull out a few months later. The Conditions that are likely to be negotiated for exceptions are expected to relate to an easing of the entry and performance payment dates - almost purely for administrative reasons - and they could be stretched for a month or two, but no more. It is unlikely that the late Entry Fee would be dropped as has happened in previous Cups. However only one team is believed to have asked for this requirement. Maybe they should lower entry fee?